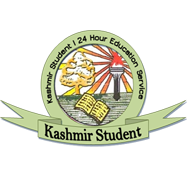 A compromise has been reached between the government and protesting students in central Kashmir's Ganderbal district, about 20 kilometers from summer capital Srinagar, after demonstrations went for the seventh consecutive day on Monday. The protesters were seeking scraping of FIR against eleven students including three girls and the transfer of Government Degree College principal Professor Roshan Ara. 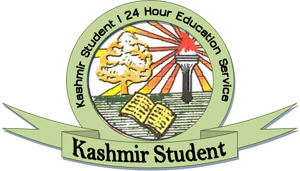 Sources said today a meeting was held between the college administration and Deputy Commissioner Mir Showkat and Superintendent of Police and student representatives. "In the meeting it was decided that if the students attend their classes without fail for 15 day there demand of revoking FIR and transferring the pricipal would be accepted," sources said. On Tuesday last students were assaulted by the police for protesting against the highhandedness of the college principal. Students held sit-in demonstration in the campus since then. Over a dozen students, including girls, were injured in the clashes at the main chowk in the district on Tuesday last. Rehana, a final year student at the college, was beaten up as she had not come in the college uniform and was wearing a sandal, an eyewitness said, adding, "The girl, who had recently undergone a surgery in her foot, fainted." As soon the news of incident spread, students protested in the campus which the administration tried to prevent. "The opposition by the administration led to clashes and students broke window panes and furniture." Ara, the college principal, told Kashmir Dispatch that she had slapped the student. The principal, however, questioned: "If a mother beats her daughter would she raise her hand in retaliation?" The students had then marched to the District Commissioner's office who, according to the sources, refused to intervene in the matter. The agitated students then held a sit-in at the main chowk in the district which the police tried to break leading to clashes. Even the chief minister Omar Abdullah had sent the District President of the National Conference Abdul Rehman Mir to hold talks with Professor Ara- the principal who had assaulted a girl student yesterday. The consultations between the district president and the principal went on for about an hour. Mir told Kashmir Dispatch that during his meeting he took a detailed report from the principal. "I also met the students and heard their complaint. I will now report to the chief minister," he had said.